A smile as big as the mountains. Everything feels so very precarious today. I just arrived from the veterinary clinic where I made plans with my dear friend, Dr. Annie, should anything significant happen with Louie while I’m in Africa. Even just the thought of it brought tears to both Annie’s eyes and mine. Once I got to the studio, I shared a few emergency contacts with the key caretakers of the details of my life while I’m away. I thought about all of my Bratlien family and how much I’ll miss them and worry about them while I’m gone. Life feels so extremely, intensely, horribly fragile. My heart feels worrisome. I know from experience that tremendous loss is all too possible. I find it strange that God is healing my heart by leading me to a place that will most certainly contain even more loss. Then I opened up facebook on my computer and saw that Everest had passed away. It brings a terrible lump to my throat. The threat of tears rest at the edges my eyes. He had the biggest smile I’ve ever met. 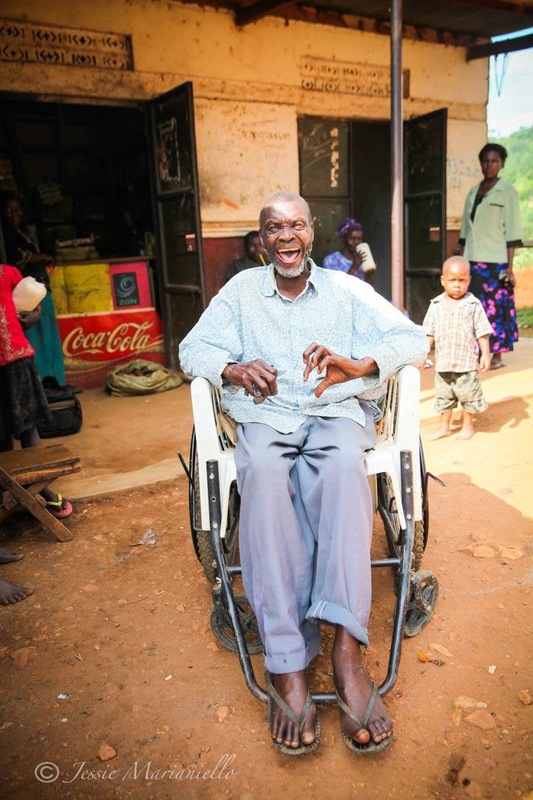 He lived his days in a jalopy of a wheelchair and was often in plenty of pain…and yet: he smiled. And smiled. And smiled. He lit up the world in a miraculous way. RIP Watero Everest. Blessings on your spirit as you make this last journey Home. I knew you only very briefly, but you will be a bright star in my memory always.